EKSPLA is manufacturer of lasers, laser systems and laser components for R&D and industrial applications. EKSPLA is manufacturer of lasers, laser systems and laser components for R&D and industrial applications. Since its beginning, the company has aimed at production of high performance advanced solutions. New ideas, broad knowledge of its engineers and physicists coupled with skilled and experienced staff have made it possible to create an exclusive company. EKSPLA is member of Lithuanian photonics cluster and Baltics photonics cluster. Close cooperation with academic and industry partners enable to contribute to EU and international projects. EKSPLA was officially established in 1992 but traces its roots to the laser division of EKSMA Co. founded in 1983. From its early days EKSMA gained attention by representing the scientific instrumentation market of the former USSR. In Eastern markets, the company stood out for high level of product quality and reliability, quick delivery and service, as well as constant attention to customer needs. Therefore in 1987 EKSMA was quite confident to start marketing and sales in Western Europe, creating a flexible system of product sales and competitive pricing policy. 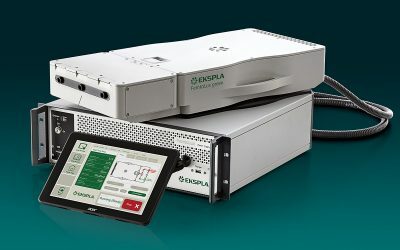 In 1993, EKSPLA entered the Japanese market, and to date over thirty Japanese spectroscopy and material research laboratories have purchased EKSPLA laser systems. On 1 January 2004, EKSMA took control of EKSPLA by increasing the shares it held to 99.61%. All laser and photonics related businesses of both companies were consolidated within EKSPLA. Over the recent years, many interested firms and institutes have come to know and rely on EKSPLA, becoming regular customers. 2005 – Ekspla has been awarded as the knowledge economy company of the year. 2006 – Ekspla has been certified according to the ISO 9001 standard. 2008 – Photonics components division of Ekspla has been reorganized into the separate entity. 2011 – NT200 series tunable laser has been announced as winner of the 2010 Prism Award for Photonics Innovation. 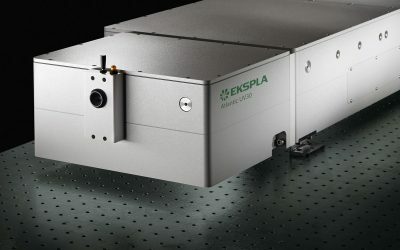 2017 – 5 TW laser system has been introduced by Ekspla and Light Conversion led consortium. Read press release for more information. 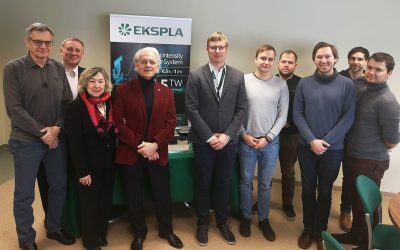 During his stay in Lithuania, prof. Gerard Mourou, Nobel Prize winner in Physics, visited two of the Lithuanian laser manufacturers (Ekspla and Light conversion) as well as participated in the conference “Open readings 2019”. The plenary presentation “Passion for Extreme Light”, delivered by prof. G. Mourou was met with great interest and a full auditorium. FemtoLux green is a modern compact femtosecond fiber laser aimed for both R&D use and industrial integration. Laser delivers 1.5 W at 515 nm or 3 W at 1030 nm of average power and up to 3 μJ femtosecond pulse energy. Ekspla opened representative office in UK, responsible for sales and service in UK and Ireland. 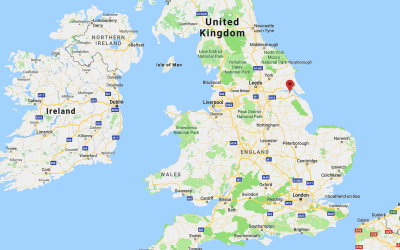 The office is located centrally in the UK with great links to the rest of the country, based in Lincolnshire. The updated Atlantic line features industrial picosecond laser models with higher average power and prolonged lifetime for UV versions. To ensure simple model navigation, all Atlantic series products have been rearranged into three groups according to output wavelength: Atlantic IR, Atlantic VIS and Atlantic UV series. The SY4000 series module is designed to create up to 8 delayed output pulse sequences precisely synchronized to an internal or external clock. A photodetector or electrical signal can be used as the input source to be synchronized. 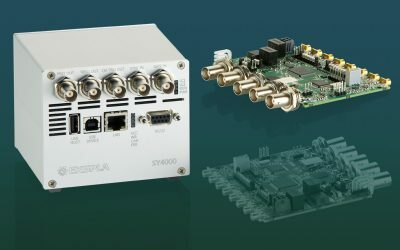 The SY4000 delivers precise delay control from 2 ns to 150 ms, maintaining 25 ps timing resolution. Ekspla, the laser company, is introducing a new picosecond high power UV laser. The Atlantic UV30 industrial picosecond laser is capable of producing 30 W of output power at 355 nm. More than 8000 hours UV optics lifetime is guaranteed, which is more than 11 months 24/7 service free operation. 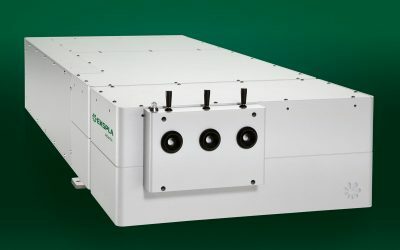 Unique OPCPA based laser system, providing 5 terawatts of output power at 1 kHz repetition rate has been produced by Ekspla and Light Conversion led consortium. Sylos 1 named system was designed and build for Extreme Light Infrastructure - Attosecond Light Pulse Source facilities (ELI-ALPS) located in Szeged, Hungary. Vilnius – November 16, 2016 - celebrating 24 years of innovations, Ekspla, manufacturer of lasers, laser systems and electronics announced updated brand identity followed by facelifted logo. The 10 petawatt (PW) laser system under construction at National Energetics (Austin, TX) for the Extreme Light Infrastructure Beamlines facility (ELI Beamlines) in the Czech Republic has passed a major development milestone, on time and within specification, says the company. Will CERN of Light technologies be established in Lithuania? 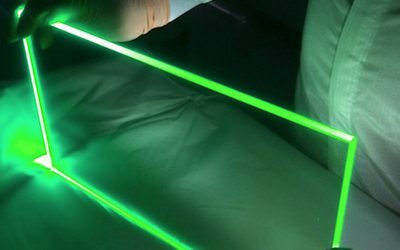 Unique laser infrastructure, so called Extreme Light Infrastructure (ELI) will start it’s operation in Europe in the year 2018. 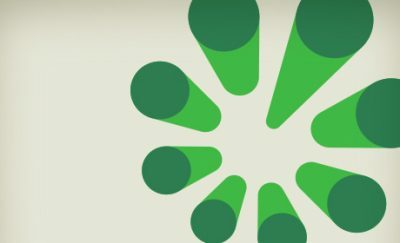 System, estimated of ~850 m Euros value will be created by 40 scientific and business institutions, including companies from Lithuania.